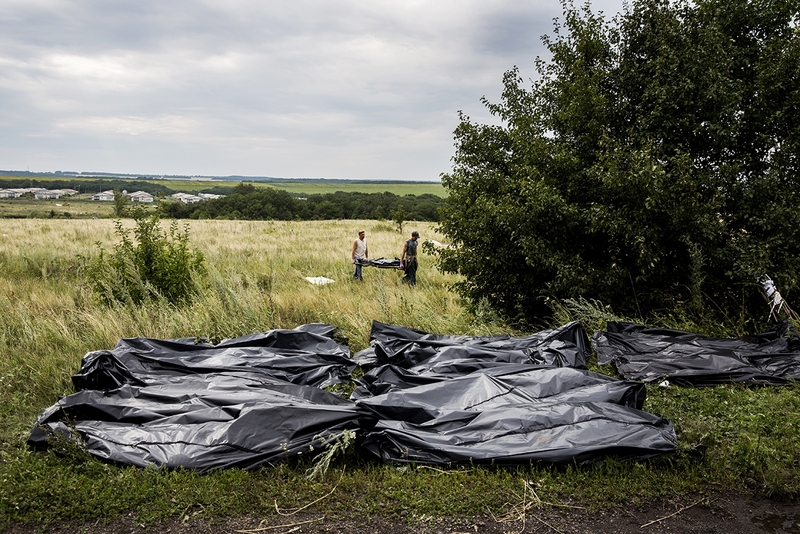 The crash occurred during the Battle in Shakhtarsk Raion, part of the ongoing war in Donbass, in an area controlled by the Donbass People's Militia. Sergey is in chock. Together with his neighbors he has been collecting bodies all day. Putting them in black plastic bags. Oksana and Karina has arrived to take Sergey home. 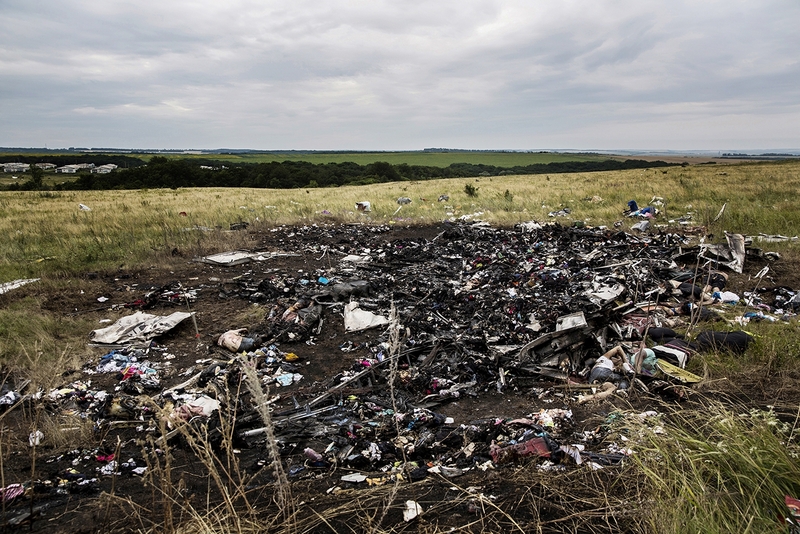 Locals collect bodies from the crashed airplane. 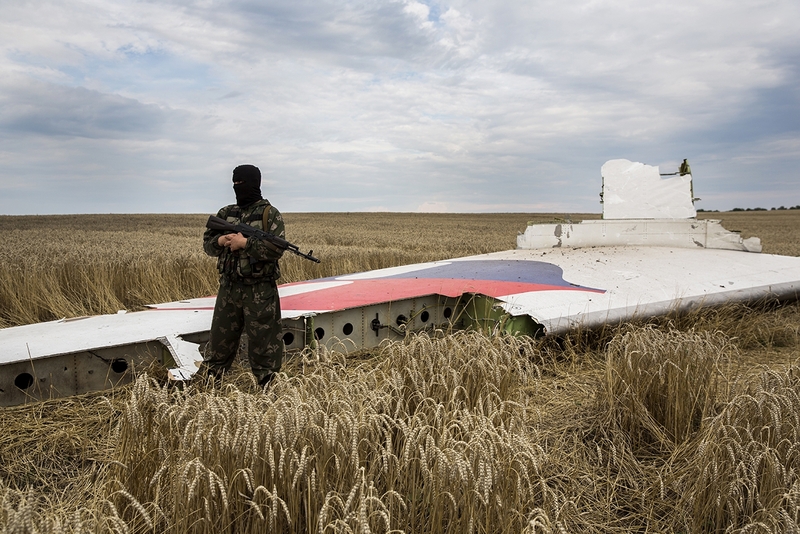 Pro-Russian separatists long refused international observers and accident investigators access to the site. 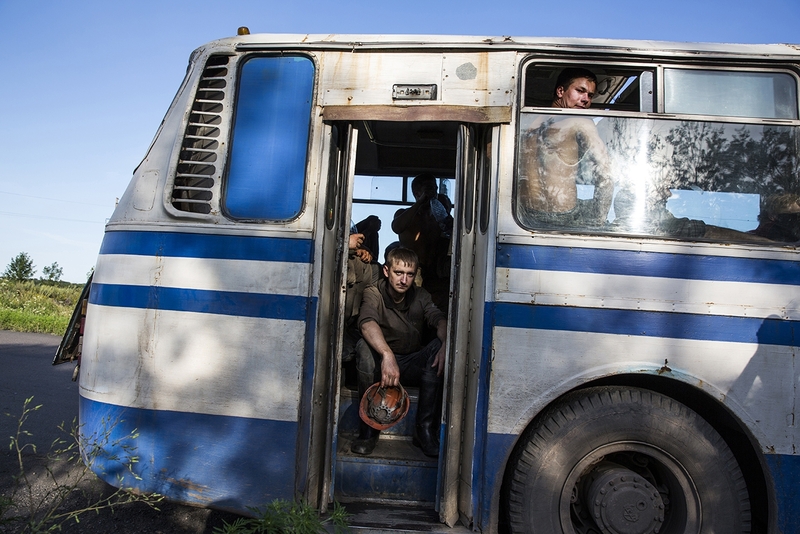 Miners from a nearby mine was ordered out to search for bodies. 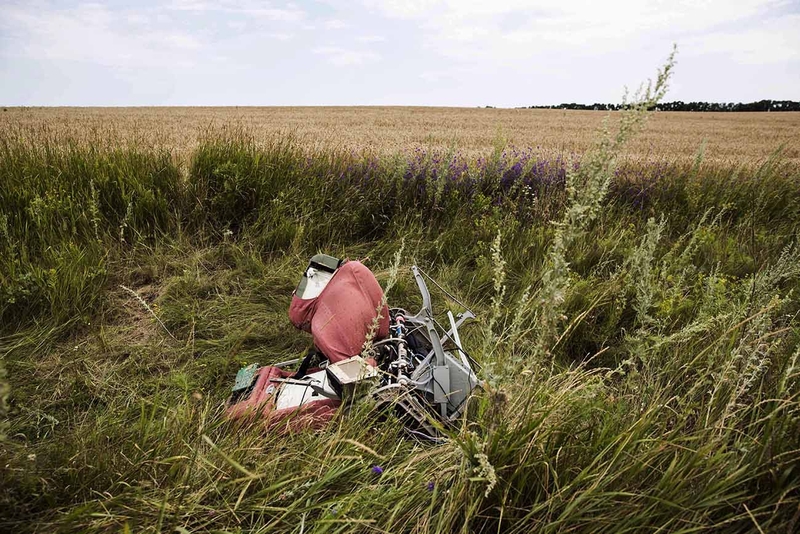 In the middle of the thriving fields is an aircraft seat from the crashed aircraft. Several bodies were still left in the chairs when it hit the ground.